I’ve always been amazed at where humans have decided to live, especially early Native Americans. From coast to coast you can find evidence of early occupations. In Florida the Seminoles still flourish, in Macon, Georgia you can find the remains of great Indian Mounds at Ocmulgee National Monument, and in the Southwest, you’ll find hundreds of sites throughout the region. 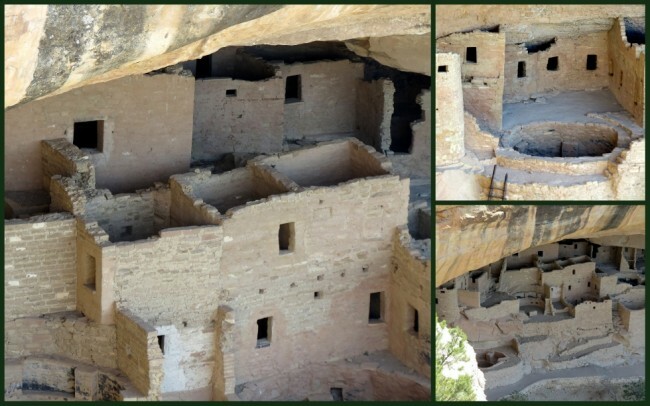 One of the most famous, and impressive can be found in the southwestern corner of Colorado, Mesa Verde National Park. 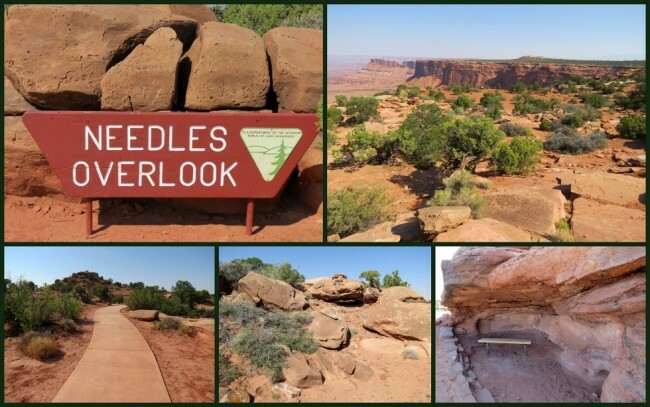 On the way in Jeff and I stopped at the Needles Overlook, which normally offers a great view of the Needles District in Canyonlands National Park (one state over and more than 100 miles away) where we were hoping to see breathtaking vistas of the horizon. Our efforts were thwarted by an incredible amount of smoke hanging in the air, the result of record wildfires of that season. Even so, we had a blast checking out the area and taking a short, but much-needed hike through the high desert scenery. Back to Mesa Verde; located in Montezuma County, about 9 miles east of Cortez, this site offers up one of the most amazing examples of Cliff Dwellings to be found anywhere. 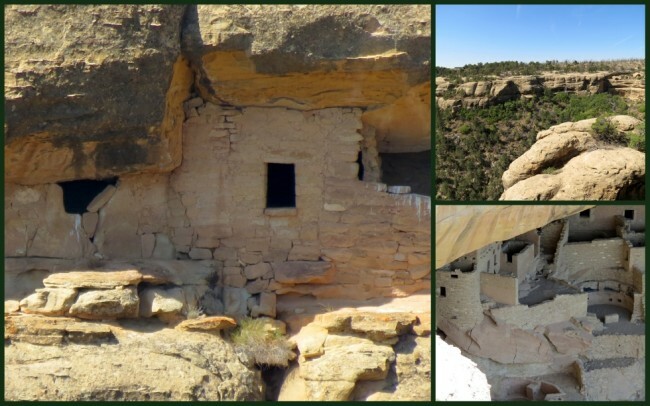 In total, it covers 81.4 square miles and features various homes and villages built by Ancestral Puebloan’s, also known as Anasazi’s. These people occupied Mesa Verdi (translated as meaning “Green Table”) from 600 to 1300 AD. They subsided primarily on corn, grown on top of the mesas, along with meat gathered from hunting expeditions. The women are famous for basket weaving, and their pottery is world-famous. Regrettably, Jeff and I were on a tight schedule when we drove through on our way to Four Corners and Hovenweep, but did take a few minutes to look around. 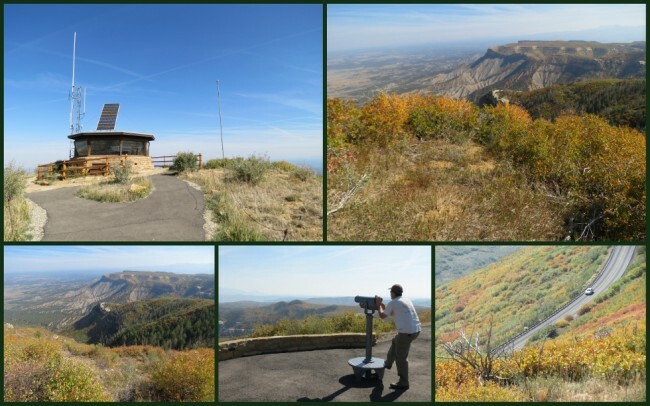 This place is no less than amazing with several structures visible from the rim of the canyon at the Cliff Palace site. There was a large, multi-cultural group getting ready to head down into the canyon for a guided tour, but our schedule did not allow us to join them. Honestly, it was a bit of a “mad house” with the large size of the group, and that is something Jeff and I both avoid at all costs. This is VERY common in National Parks throughout the tourist season, something I know a lot about after 30 years with the NPS. We did take time to look at the ruins from a distance and take a few pictures, and still found this well worth the stop. Speaking of pictures, a number of those you see here were taken by my former co-worker, Ted Diamond. 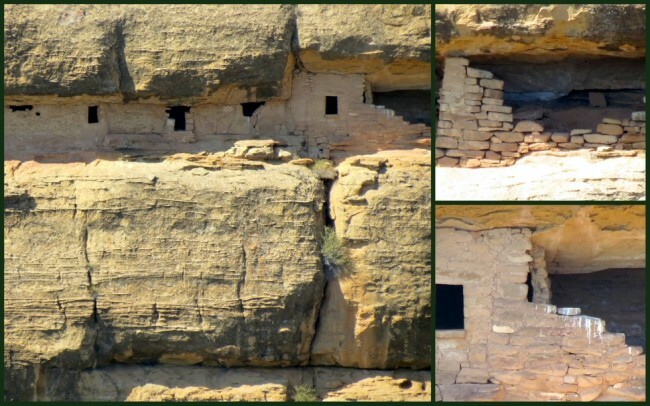 He went to Mesa Verde a year before I did and has graciously allowed me to use some of his images. 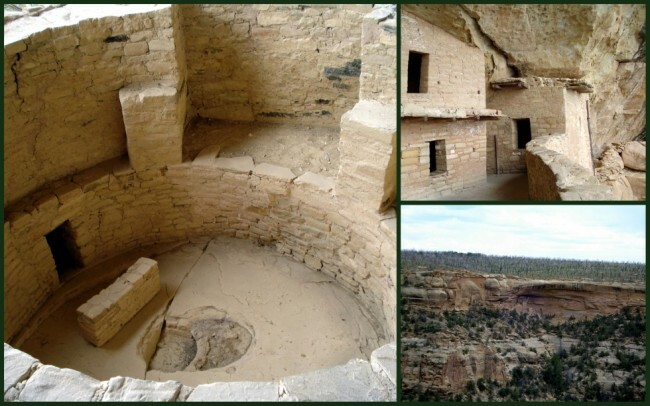 If you decide to visit Mesa Verde, make it a separate stop, and hopefully in the slow season so you can enjoy your visit more. 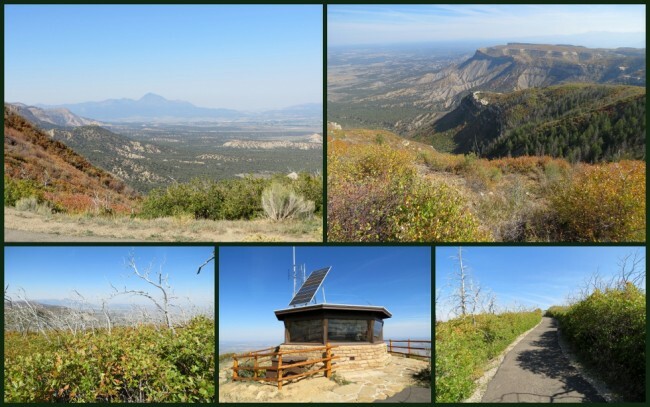 Facility-wise, the park has a Visitor Center, campground, and an area called the Morefield Campground and Village, which has full camping facilities available (267 sites). At the village you’ll find a grocery, coin-operated laundry, gas station, gift shop, RV dump site and complimentary showers. 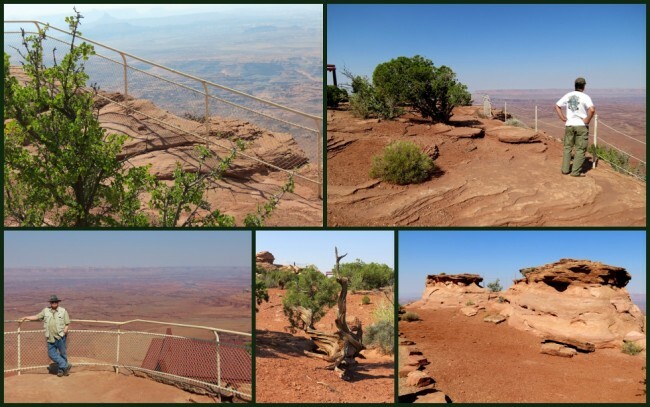 Several of the park’s best hikes originate at this campground. Another area worth considering is the Far View Lodge, located at mile marker 15 on the main park road. It offers panoramic vistas into three states, in a quiet, simple environment. One nice thing, no TV’s. It’s all about enjoying the beauty of the high desert. All rooms are non-smoking and have private balconies where you can kick back at the end of the day and reflect on this amazing place. You can also rent kivas if you desire. Both lodge rooms and kivas have all the comforts you’ll need to make this an enjoyable experience. 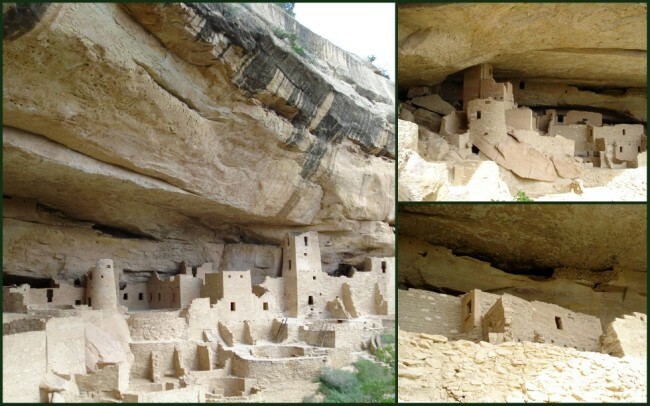 Be advised, Mesa Verde is like many Western parks and does charge an entrance fee, and other fees for tours and such. You can check out their website for current information on costs and such. Golden Age and Golden Access cards will get you a discount. If you’re going to a regular visitor, you might want to consider buying their annual pass. 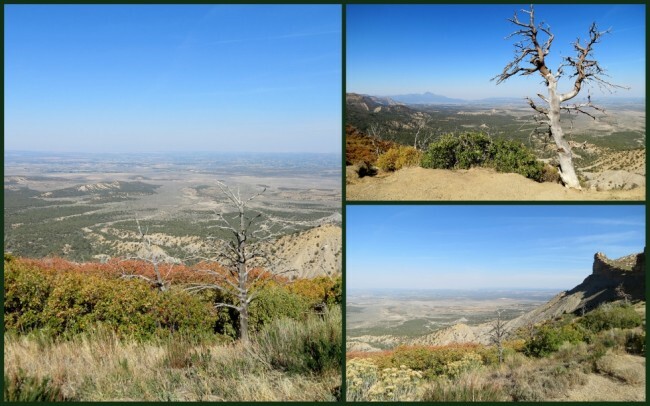 I’m hoping at some point to return to Mesa Verde and spend a week or so. There’s so much to see and do here that it will probably take at least that long. I’d love to hit some of their trails, take a few guided tours, check out their visitor center and immerse myself in the story of this place, maybe you should too. Last modified on: May 22nd 2015.